Multi-subject database; articles from journals & other publications. Covers business, education, history, literature, medicine, philosophy, politics, science, and technology. Search platform for a wide range of multi-disciplinary subject areas, including agriculture, alternative publications, biology, business, country reports, dissertations and theses, education, ethnic and gender issues, geosciences, historical Los Angeles Times and New York Times, literature, PTSD, sociology, and US and global news. A database of both historical and current legal content on gun control issues. Included are periodicals, scholarly articles, federal legislative histories, Congressional hearings, reports by the Congressional Research Service (CRS), Supreme Court briefs, an extensive bibliography, and a selection of external resources to further research on this subject. This database was made available without charge by The William S. Hein & Co. (HeinOnline). Kanopy is an on-demand multidisciplinary streaming video service which provides access to thousands of films. Major subjects covered include: The arts, business and training, documentaries, health sciences, media and communication, natural sciences, social sciences, and teacher education. All videos are licensed for classroom use, and instructors and students can create custom playlists. Kanopy videos can be viewed on a range of devices and platforms including Apple, Android, and Windows. 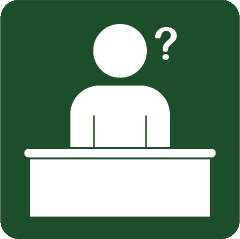 For assistance with closed captioning (CC), transcripts, and audio description contact the Circulation Desk at (909) 869-3075 or the Knowledge Center on the 2nd floor of the Library, or contact one of the library liaisons below. Donald Page, djpage@cpp.edu, 909-869-3170, Room 2334G. Julie Shen, jshen@cpp.edu, 909-869-4330, Room 2334D. Sourcing Journal is the premiere trade publication for apparel and textile executives focused on sourcing and manufacturing. Tracks approximately 1,700 stocks in over 90 industries for investment information, analysis and advice on stocks, mutual funds, options, and convertibles. Each weekly issue includes ratings reports, selection opinion, summary and index. Maximum 10 simultaneous users. If the maximum number of users has been reached, please wait a few minutes, and then refresh your browser. For assistance with accessibility issues contact the Circulation Desk at (909) 869-3075 or the Knowledge Center on the 2nd floor of the Library, or contact one of the library liaisons below.